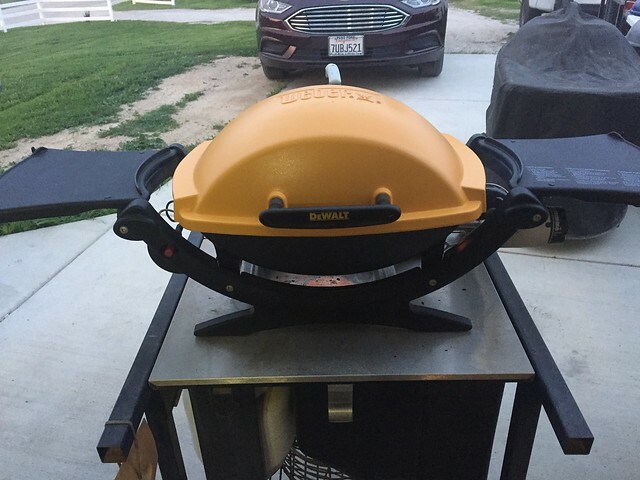 A Q is one grill I don't have but never gave much thought. A while back this popped up in a thread and I thought, that's pretty cool. It really started to "grow" on me, I could kill 3 birds with this acquisition, A Q, a color AND a logo, OK, what the hell, I'll give it a shot. Now this was listed in Maryland craigslist and @dwnthehatch I believe was the one who posted the ad here. After I called the seller, he said he had it, I contacted Troy to see if he could arrange for pick up and ship..Well, long story short, he was able to pick this up, found a box for a Q at a local hardware store and it arrived today. Sorry I don't have any "Unboxing" pics, I'm always in a hurry to see my new toys. A big shout out to Mrs. dwnthehatch also for picking the kids up so Troy could grab this, SHHHOUTTTT!!! 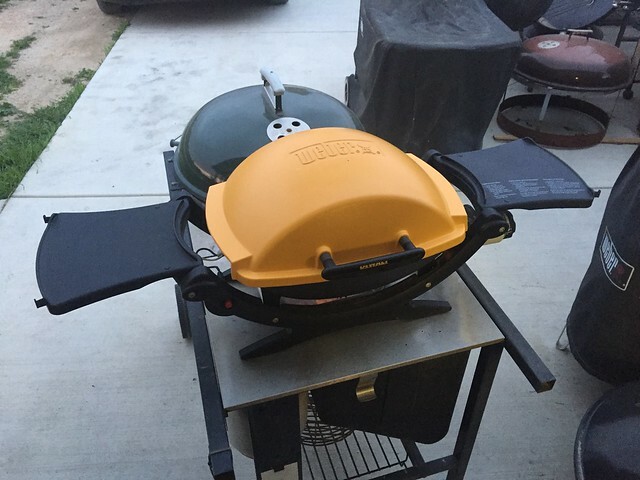 I did a quick cursory cleaning and fired up for some bone in chicken breasts, This is an awesome little cooker!! 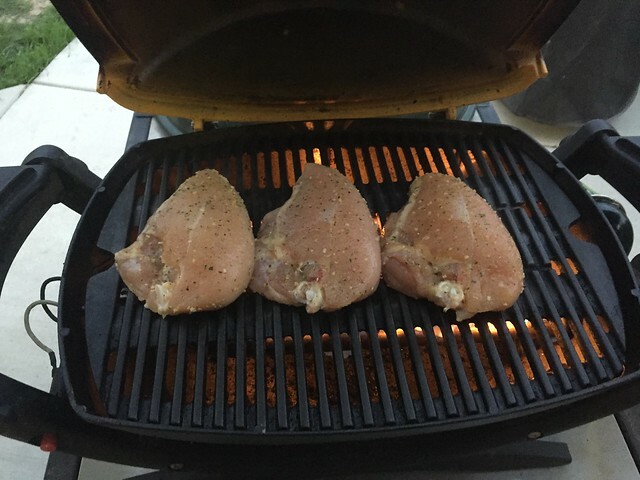 You are really going to love the Q. I got mine for free and its my go-to for quick cooks. I love it. I'm glad it made it there safely. I received a surprise package this weekend. Thank you for your generosity. You're welcome. Thank you for agenting!